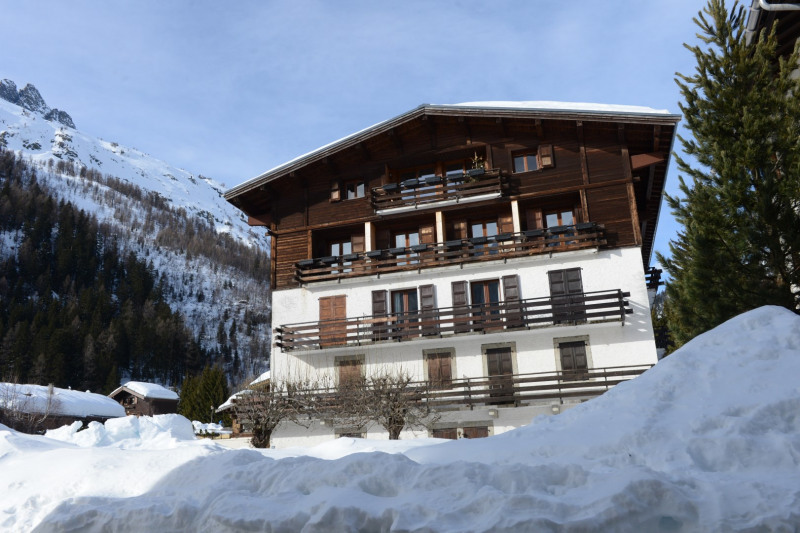 Exceptional duplex in Argentière, in the heart of the village it is called the Pentahouse since the complete restoration of the last two floors of a residence of 1946 very popular Argentière, with granite elements: more than 300 m² on two levels, a triple exposure, three living rooms, eight bedrooms, in a sumptuous master suite, two fireplaces, a library, four balconies facing Mont Blanc, with a breathtaking view of the Mont Blanc range, the Grands Montets, the Chardonnet and Balme. Sublime. This apartment can be divided. 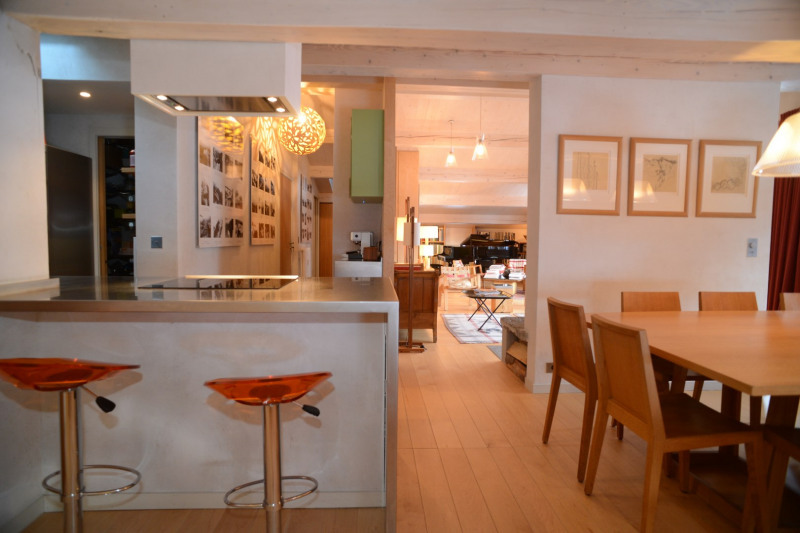 Exceptional duplex in the heart of Argentière village, nicknamed the “Pentahouse”, since the complete restoration of it's top two floors. 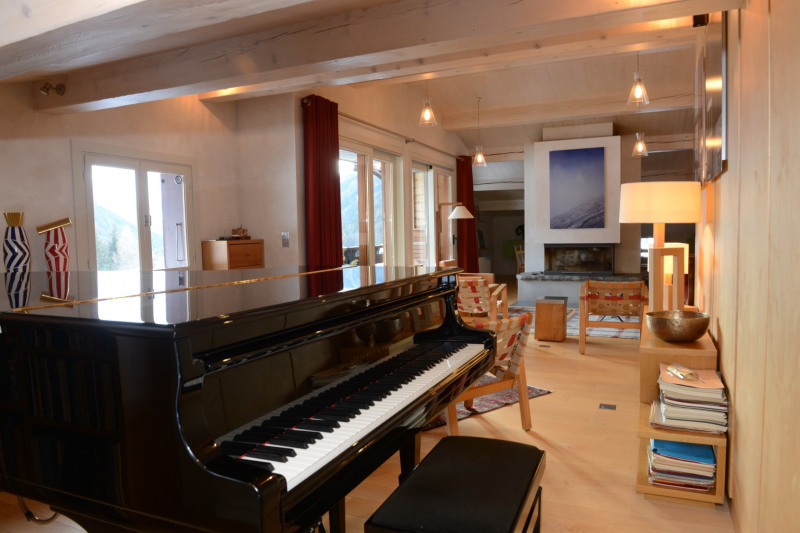 The residence of 1946 is very popular in Argentière, full of granite elements. There is just over 300 m² of living space on two levels, a triple exposure, three living rooms, eight bedrooms including in a sumptuous master suite. 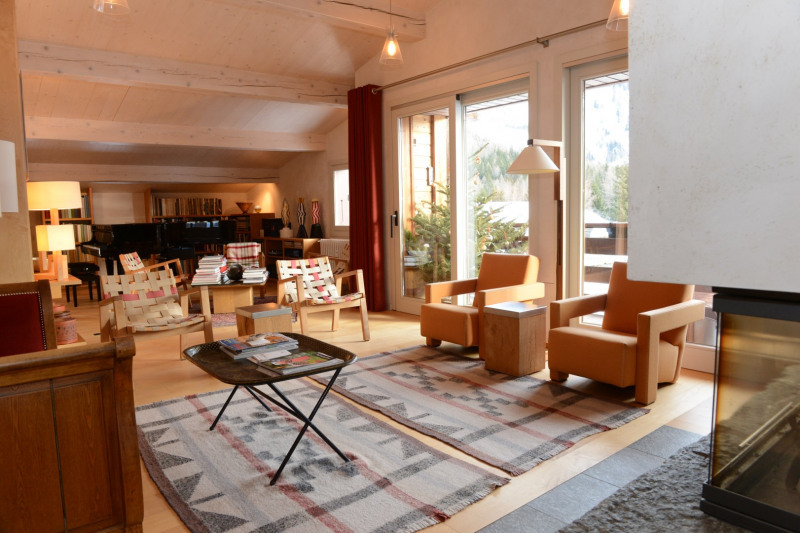 There are two fireplaces, a library and four balconies facing the Mont Blanc. Breathtaking views of the Mont Blanc range, the Grands Montets, the Chardonnet and Balme. 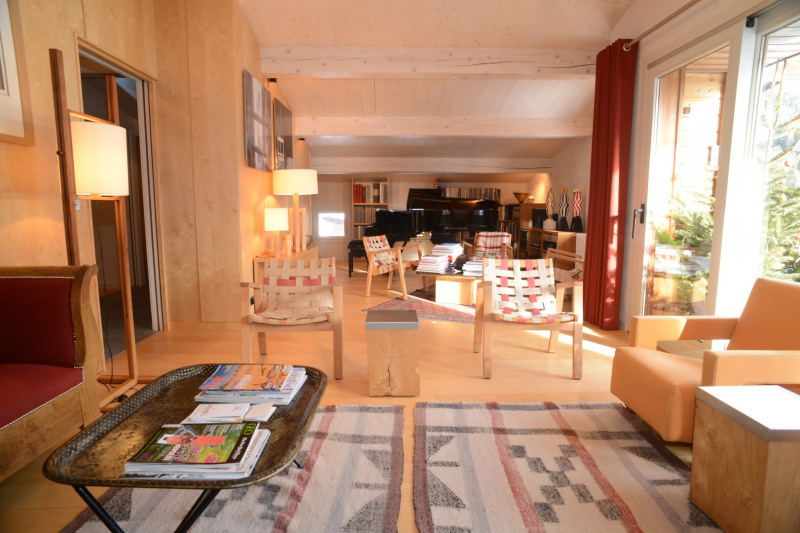 An absolutely sublime residence, that can as well be divided into two homes.